Don't forget to check out amended transport timetables in place over the New Year period. Whether you’re staying at home for the bells or are planning to head to the mainland to see in 2017, don’t forget to check out New Year travel arrangements before you go. ScotRail services will operate on Saturday, December 31 until approximately 6pm when they begin to wind down, with no trains operating across the network on Sunday, January 1. A revised timetable will run on Monday, January 2, and normal service will resume on Tuesday, January 3. 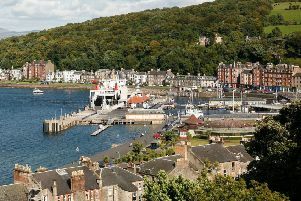 On the ferries, CalMac will operate as timetabled on Saturday, December 31, but there will be no sailings on Sunday, January 1. A ‘Saturday’ service will operate on Monday, January 2. For more visit ScotRail and CalMac’s websites.